University Hospital is a major teaching hospital located in London, Ontario. Founded in 1972, the hospital is affiliated with Western University’s Schulich School of Medicine & Dentistry. It is one of the integral hospitals in the overall London Health Sciences Centre network, along with Victoria Hospital and Children’s Hospital. It has a long history of cutting-edge clinical research from it’s foundation, a legacy that continues today. 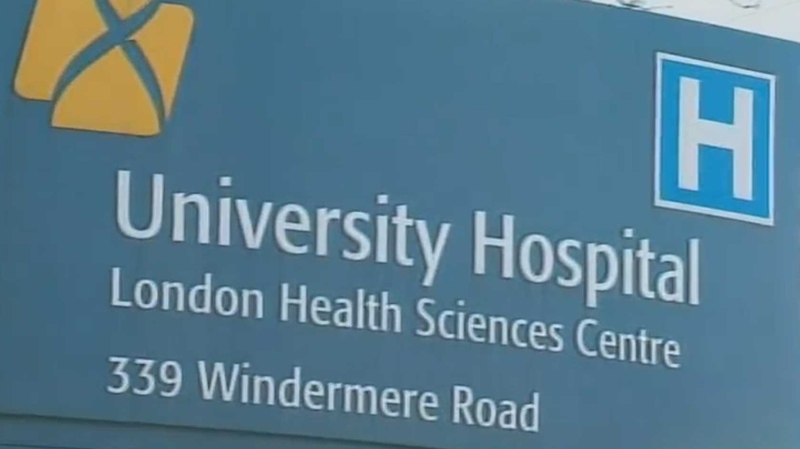 While London Health Sciences Centre covers a number of operations throughout the city of London, including two family medical centres, the regional cancer program, and charitable foundations for both Children’s Hospital and for the overall health integration network, University Hospital is, by virtue of it’s proximity to Western University, the premier hospital for research and cutting-edge implementation of medical treatment procedures. The history of medical science in London, Ontario dates back to the late 19thCentury, when London General Hospital was opened on what was then Ottaway Avenue and is now South Street. That hospital officially became a teaching hospital in 1882 when the University of Western Ontario opened the Faculty of Medicine on St. James Street. That faculty was housed in a small white frame cottage, but that original house quickly became far too small for the growing program. Five years later, in 1887, there were 60 medical students and a new building had to be constructed, this time at Waterloo Street and York Street. This in turn was fine for a few decades before the growth of medical sciences as an academic practice forced the construction of an even larger new building in 1921, at the intersection of South Street and Waterloo Street. In 1965, in an effort to centralize the various faculties, the University moved their medical science faculty to the Western campus. Medical science in the classroom is all well and good, but hands-on education is a key factor in making sure doctors are getting the best possible education. To this end, the foundation of University Hospital in 1972 is a major factor in the success of the medical science program at Western University. 1972 is also an interesting year for the overall topic of health in the city of London. The biggest health problem in the early half of London history was the scourge of tuberculosis, the ravage of which necessitated the construction and maintenance of sanitoriums. The biggest sanitorium in the London region was the Queen Alexandria Sanitorium, which had been built on the hill overlooking the Thames River near what was then the village of Byron, Ontario. The problem of tuberculosis, with the advance of modern medical techniques, ceased to be a major issue by the end of the Second World War. In 1972, the sanitorium was closed; that the same year saw the opening of University Hospital makes it seem like a changing of the guards, or at the very least a turning point in the advancement of medical science in southwestern Ontario. From the beginning, University Hospital was known as a center for the development of cutting-edge research in medical science and techniques. The most famous early example of this came from the mid-1970s, when Dr. Charles Drake, Chairman of the Department of Surgery at the University of Western Ontario, developed techniques to successfully treat what were elsewhere thought of as impossible cases: aneurysms, specifically difficult basilar aneurysms, where the aneurysm takes place in one of the main arteries of the brain. Dr. Drake’s skills were second to none, and patients with aneurysms and other types of brain hemmoraging were referred to University Hospital for treatment from all over Canada and the United States. This dedication to medical research continued as the hospital grew. In 1981 University Hospital became the headquarters for the Canadian Centre for Transplant Studies, helping to facilitate organ transplant in life-saving operations. In 1990 the hospital became invested in sports medicine through the foundation of the J.C. Kennedy Athletics Injuries Clinic; two years later the hospital opened the Siebens-Drake Research Institute on the Western University grounds in conjunction with the Robarts Research Institute and Agriculture Canada. Changing times brought change in the way hospitals were administered in Ontario in the 1990s. To serve the public more efficiently, University Hospital merged with Victoria Hospital in 1995 to form the London Health Sciences Centre, which oversees all medical treatment between the two hospitals and the Children’s Hospital of Western Ontario. Further amalgamations brought the formation of the Lawson Health Research Institute; founded in 2000, the Lawson Health Research Institute is a partnership of the London Health Sciences Centre, St. Joseph’s Health Care, the Lawson Research Institute, and LHSC Research, Inc. Together they form the third-largest hospital-based research organization in Canada. The London Health Sciences Centre and Lawson Research Institute formed a separate partnership in 2000, the Canadian Surgical Technologies and Advanced Robotics (CSTAR) Centre. The CSTAR Centre itself formed a partnership with MD Robotics (the creators of the Canadarm) in 2002 to produce the next generation of surgical robots. Today, the London Health Sciences Centre comprises University Hospital, Victoria Hospital, Children’s Hospital, the Westmount Kidney Care Centre, Byron and Victoria Family Medical Centres, and the 54 Riverview Avenue Site. This conglomeration makes the London Health Sciences Centre one of the largest acute teaching care hospitals in Canada. It’s affiliation with Western University makes it a leading light of medical science research in North America. Home to 957 doctors, dentists, and midwives, the London Health Sciences Centre has nearly as many medical students, as well as 924 research personnel and 1,170 residents, fellows, and visiting electives. Out of those health care professionals, big numbers result. In 2018 the London Health Sciences Centre dealt with 165,239 emergency room visits and admitted 52,803 patients. 9,865 day surgeries were performed, and 17,777 surgeries that required a longer stay. 5,648 children were born. A large number of Canadian medical science “firsts” have taken place at the London Health Sciences Centre, many of them involving advances in robotic technology and techniques. This is hardly surprising, however, given that London has had a history of advancing the field of medical science, even before the foundation of University Hospital. In 1948, London medical science brought Canada it’s first artificial kidney machine. 1951 brought a breakthrough that whose influence was felt around the world: the cobalt bomb. The cobalt bomb technique was a revolutionary breakthrough in cancer treatment that harnessed the awe-inspiring power of the atomic forces that the Second World War had unleashed. It worked like this: processed cobalt-60 was encased inside a lead cylinder, which was itself encased in steel. This steel-cylinder-cobalt unit was suspended over the patient, and radiation from the cobalt was directed out of the cone of the unit in a beam. That beam was aimed at the spot where the patient’s cancer had developed; the size of the beam could be easily adjusted depending on how large the tumour was. This treatment style was the standard for cancer treatment from its invention until more advanced options became available in the early 1970s. The effect on survival rates was stunning at the time; in cases of cervical cancer, for example, the 5-year survival rate went from 25% to 75%. This technique, developed in London, represented the vanguard of the type of medical science advancement that grew exponentially from the 1950s onward. Transplants were another early success for University Hospital and the London Health Sciences Centre. In 1981, University Hospital was home to the first successful heart transplant. In 1988, the world’s first liver-bowel transplant occurred at University Hospital; while smaller versions of the transplant had been attempted since the late 1960s, London’s 1988 transplant was the first where the patient survived for several years afterward. In 1993, surgeons at University Hospital performed another Canadian first: the first time a living donor parent donated a partial liver to their child successfully. Another first for children happened in 1997, when a five-month old infant named Sarah Marshall became the youngest human being in history to receive a multi-organ transplant. Marshall was born with Megacystitis Microcolon Intestinal Hypo-peristalsis Syndrome, which prevented her internal organs from functioning properly. A partnership between medical scientists and surgeons from University and Children’s Hospitals put together a plan to transplant a stomach, pancreas, liver, and bowels into the infant Ms. Marshall. She remains the youngest recipient of a multi-organ transplant to this day. In that same year, Western medical scientists developed another first, one that would point the way toward future innovations at University Hospital. That year brought video-assisted, minimally invasive heart surgery to Canada. A staple of surgery now (and episodes of Grey’s Anatomy), at the time it represented a massive leap forward for heart surgeries, greatly reducing both the risk and the recovery time involved in cardiac surgery. Two years later a University surgical team introduced robots into the mix; in 1999 the world’s first closed-chest, robotic assisted coronary artery bypass graft (while the heart was still beating, no less) was successfully accomplished. In 2000, another cardiac first was accomplished; surgeons from University Hospital became the first in Canada to perform an endovascular repair of a blunt traumatic thoracic aortic artery, which is an injury that typically results from a major car crash and is complicated by all of the other injuries victims usually sustain in such crashes. That same year saw the University Hospital transplant team perform Canada’s first adult-to-adult living donor partial liver transplant, utilizing the regeneration properties of the liver. Robotic assistance became a key factor in the medical firsts pioneered in the 21stCentury. The 3-armed ZEUS robot was used to clear a kidney blockage by University urologists in 2003; a 4-armed da Vinci robot was used to perform a bypass graft by University cardiac surgeons in 2004. Canada’s first minimally invasive double bypass was performed with robotic assistance in 2005. Another da Vinci robot was used for Canada’s first robotic-assisted common bile duct exploration in 2007, as well as the first closed-chest robotic coronary artery bypass surgery on a beating heart – a medical miracle that would seem the stuff of science fiction if it weren’t already over a decade in the past. A global first occurred in 2008, when University surgeons used a da Vinci robot to perform an intestinal bypass; University surgeons also became the first in North America to implant a heart monitor that provided continual remote monitoring of the heartbeat. In 2010 a surgical team at London Health Sciences Centre became the first globally to use the Correx AVB device, which is a small implantable device used to make what was once a extremely complicated and typically deadly type of cardiac surgery into a more manageable surgery with better patient outcomes. The cardiac surgery team also became the first globally to use the da Vinci robot to repair a hole in a heart in 2011. 2011 also saw the surgical team be the first to use a new method of heart valve replacement, a robotic and video-assisted surgery that didn’t require the patient to be opened up for major surgery. The cutting edge of technology has been a constant source of innovation for London Health Sciences Centre surgical teams. The Geko blood circulation device, a strap that allows for better blood circulation and flow in the deep veins of the leg, was used for the first time globally in cardiac surgery at University Hospital in 2013. Another Canadian first occurred in 2013, when a London Health Sciences Centre surgical team became the first in the country to perfect a gallbladder removal that only requires a single small incision hidden in the bellybutton, which leaves virtually no scarring. The ACURATE TA Aortic Bioprosthesis was used for the first time in North America by the cardiac surgical team at London Health Sciences Centre in 2014; the device reduces or outright eliminates leakage from an implanted heart valve and makes high-risk cardiac surgery much safer. The cardiac surgery program also began using the COR-KNOT System for suture fastening during open heart surgery in 2015, a Canadian first; the system saves up to an hour of operating room time, making for a much safer surgery. University Hospital surgeons have also in recent years used robots to treat colorectal issues, first among Canadians, and are also studying new tissue materials to treat cartilage problems in knees, another first among Canadians. When we talk about going to the hospital, we make it seem a lot simpler than it really is. “Going to the hospital” is a breezy little phrase that covers a huge amount of programs and services covered at the London Health Sciences Centre. The hospital is always busy, with different departments running in an interconnected fashion during all hours of the day. The following are some of the more interesting programs and services run by the London Health Sciences Centre. The Bleeding Disorders Program at London Health Sciences Centre partners with Hemophilia Ontario to provide cutting-edge treatment for the disease of hemophilia. Hemophilia is a rare, inherited condition where there is a delay in clotting when bleeding occurs. Contrary to popular belief, hemophilia patients do not bleed faster, but they do bleed for a much longer period of time. People suffering from severe hemophilia will bleed from even minor injuries, or at times for no discernable reason at all. The latter is the most dangerous part of the disease, as internal bleeding into joints and tissues may occur for some time before it is detected and can cause crippling deterioration of joints. To treat this, the Bleeding Disorders Program at London Health Sciences Centre transfuses certain elements necessary to properly clot into the bloodstream, and also provides kits that allow for the topical application of those elements in cases where patients injure themselves in their daily lives. The combination of regular transfusion and emergency-use kits has resulted in children affected by hemophilia living life to the same length as the rest of us, as well as greatly reducing the problem with joint deterioration. Along these lines, Hemophilia Ontario and the London Health Sciences Centre run an annual summer camp that provides a safe, fun environment for children that gives them the experience of camping while also teaching them how to safely treat their disorder. The idea of performing surgery without having to transfuse new blood into a patient has been a topic of concern since the late 1920s, especially when considering surgery on members of the Jehovah’s Witness faith. The blood scares of the 1980s accelerated the need to find “bloodless solutions” for operations, and in 1997 the Final Report on the Commission of Inquiry on the Blood System in Canadarecommended that patients in Canada be made fully aware of their options well before an operation, in simple language that they can understand. As a result, hospitals (including the London Health Sciences Centre) now implement patient blood management programs, where the patient, the surgical team, and a collection of blood experts work together to make a plan with regards to the patient’s wishes on the need for or possibility of blood transfusions. If a patient wishes to avoid the need to receive a blood transfusion during surgery, the management team will outline a plan using tactics such as boosting the amount of iron available to the body by changing the patient’s diet and providing supplements; by using substances that boost erythropoietin, a hormone that regulates the number of red blood cells made in the bone marrow; and by storing units of the patient’s own blood to use in a transfusion, which is tricky (in that it lowers available hemoglobin in your blood) but also avoids both the problem of your body rejecting the wrong blood type and also the possibility of bacterial infection. CSTAR – the Canadian Surgical Technologies & Advanced Robotics centre – is one of the most undeniably cool departments of the London Health Sciences Centre. CSTAR first opened in 2000 and a number of the national, continental, and global firsts accomplished by the London Health Sciences Centre have their root in the robotic techniques developed by it. The centre focuses on three things – surgical technology, surgical simulation, and research – in order to develop technologies and techniques that facilitate minimally invasive surgeries. CSTAR is one of only eight centre internationally – and the only in Canada – to provide training and certification on the da Vinci surgical robot, which is currently the cutting edge for minimally invasive surgeries and one that has provided a number of the “firsts” accomplished by the London Health Sciences Centre team. CSTAR occupies three floors in the Lindros Legacy Research building at University Hospital, comprising 22,500 square feet of operating space, simulation labs, meeting rooms, and teaching rooms that are fully integrated into the audio/visual system of the hospital. CSTAR facilities include two surgical simulation rooms, acute and chronic labs with lead lining, and a skills lab with virtual reality simulators to practice surgeries with robotic techniques. In addition to training, CSTAR is used as part of a collaborative research program between the London Health Sciences Centre, the Lawson Health Research Institute, and both the Medical and Engineering departments of Western University. This research partnership aims to research, develop, clinically test, and implement robotics for the purpose of performing minimally invasive surgery. To this end, they operate a lab for idea development, an engineering lab, a testing and training lab, and a clinical research operating room. Doctors, much like any other professional, cannot be expected to know everything. We expect general practitioners to know a little bit of everything, of course, but even then the sheer amount of medical knowledge available out there is overwhelming. It’s even worse for people with specific surgical or clinical expertise; they’ll know everything about their area of expertise but much less about other fields. Drugs and drug interactions are the biggest problem for this, typically; many surgical procedures depend on certain drugs during or in the aftermath of the operation. Unfortunately, drugs always have interactions with other drugs and many of those can cause severe problems during or after surgery. The London Drug Information Service, then, exists to provide information and advice on drugs and drug interactions. Pharmacists working at LonDIS have both a drug information background and training on database retrieval of drug information. These pharmacists guide health care professionals to make clinical decisions with regard to planning patient care. They can research and provide information on drug interactions to ensure that positive patient outcomes are adhered to in every case of surgery. Located near the grounds of University Hospital, the London Health Sciences Centre FEMAP program helps people in the age range of 16 to 25 with emotional issues that are symptomatic of mood or anxiety disorders. Located on Richmond Street, the First Episode Mood and Anxiety Program provides a safe place for youth who need help to deal with early symptoms of mood or anxiety problems. FEMAP provides assessment, therapy, medication, and treatment for substance abuse problems that may be exacerbating mood and anxiety symptoms. In addition to providing counselling and treatment, the First Episode Mood and Anxiety Program delivers these in a way that is different in some ways from standard anxiety care delivery methods. As such, the treatment methods are often also research methods, bringing University Hospital and the London Health Science’s Centre’s legacy of cutting-edge health care delivery into the realm of mental health as well. Unlike a lot of other mental health treatment options, the First Episode Mood and Anxiety Program does not require a doctor’s referral, and will take patients on self-referral after a brief phone interview to assess eligibility. University Hospital’s Cochlear Implant Program first began in 1987 with experimental implants for adults, followed by a program geared toward children that began in 1989. The viability of this type of hearing implant proved successful, and in 1993 the federal Ministry of Health approved the program to be funded under the Canada Health Act. However, owing to the expensive nature of the device, only a limited number are made available every year; thus patients wishing to become a part of the Cochlear Implant Program typically need to be added to a waitlist. Cochlear implants are small electronic devices that are surgically implanted into the inner ear and create a bridge overtop of the damaged portion of the inner ear. This procedure is meant for patients that derive little to no help from traditional hearing aids, which work by amplifying sound and require the cilia (the hair in the inner ear) to be at least partially intact. However, patients whose hair cells are permanently damaged do not qualify for this. To get around that, the cochlear implant directly stimulates the audio nerve, forming a bridge between it and the middle ear. It basically provides a small electric spark to the nerve, which the nerve then transmits to the brain, where it is processed as an audio signal. The internal part of a cochlear implant is an array of electrodes that lay along the inner ear and end in a tiny case that holds a magnet and a decoder. The magnet picks up signals that are given to it from outside and then the decoder uses that signal information to activate specific electrodes. The external equipment that transmits signals to the magnet consists of a microphone, a transmitting coil, and a processing unit that translates speech to electrical signals. The surgery to implant the internal equipment takes approximately 2-3 hours and some patients can be released on the same day as surgery. Operating as a joint effort between the London Health Sciences Centre and Western University, the Fowler Kennedy Sport Medicine Clinic is a leading light in the field of sport medicine, with efforts to push the envelope in terms of research, education, and advocacy. The key goal of the Fowler Kennedy Sport Medicine Clinic is to keep people active, from people who are looking to keep their fitness up as they age to the care and maintenance of high level athletes, regardless of the sport. The most intensive service offered by the Fowler Kennedy Sport Medicine Clinic are the orthopaedic surgeries, dealing with injuries to or illness of the muscular or skeletal system. Their expertise lies in injuries or illnesses specifically in the cartilage, foot, ankle, knee, hip, or shoulder; basically anything that is necessary for movement in humans. Surgeries on these parts are the more intrusive, and typically the rarest treatments for these kinds of injuries. A more standard outcome is diagnosis by one of the sports and exercise medicine experts and then the development of a treatment plan whose goal is to return the patient to a similar level of activity as they enjoyed before their injury. If necessary, Fowler Kennedy has rehabilitation experts on hand to assess and treat injuries that require more than just a brace, some ice, and time to heal. The Fowler Kennedy physiotherapy program uses an exercise-based approach to diagnose a serious injury before it become debilitating, and to plan exercises to strengthen the affected area. The aim is, again, to return the patient to a pre-injury level of activity at an accelerated pace and to reduce the possibility that the patient injures the area again. These plans can be over the course of a week or two or they can take years to implement; either way, the goal is the same. A big part of this, from the vantage point of sports medicine, is treatment of concussions. As a common and potentially debilitating or deadly injury suffered during sports activity, concussions are a significant problem, and Fowler Kennedy goes beyond merely treating such injuries. Part of their mission is to educate the public, especially those participating in both individual and organized sports, on the dangers of concussions and best practices on how to avoid them. To this end, Fowler Kennedy works with a number of other organizations and faculties, including the Brain And Mind Institute at Western University, to facilitate research on the processes of the brain and the various ways in which head injuries sustained during sports can have debilitating effects on it.